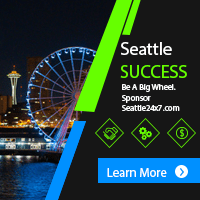 Seattle “Sonic Bust” Perpetuates NBA Racketeering and Collusion. Citizenry Should Show Some Class (-Action)! EarthDay is Birthday for New Bullitt Center — Seattle’s Evergreen Statement. Data Analyst – Market Research, Global Market Insite, Inc.